This week our party wrap up is all about birthdays. No matter how old you are, celebrating your special day is important and deserves an amazing event. So, we have found a few particularly fabulous birthday party ideas (check out The Bash!) that may help motivate you to celebrate your birthday (or that of a loved one), in serious style. When planning something for your little one, you may consider putting together something like this Vintage Polka Dot Zoo Birthday from Aesthetic Nest. 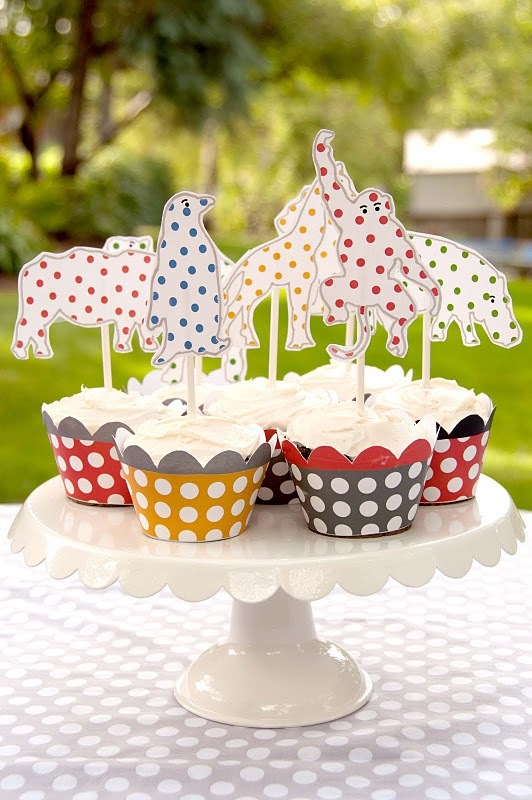 This party blends a few different theme ideas by mixing polka dots with vintage prints of zoo animals. The combination works beautifully together and really creates a gorgeous party. And I happen to love animals, so this theme is definitely fun in my book! The invitations, decorations and printables used in this theme really tie everything together. 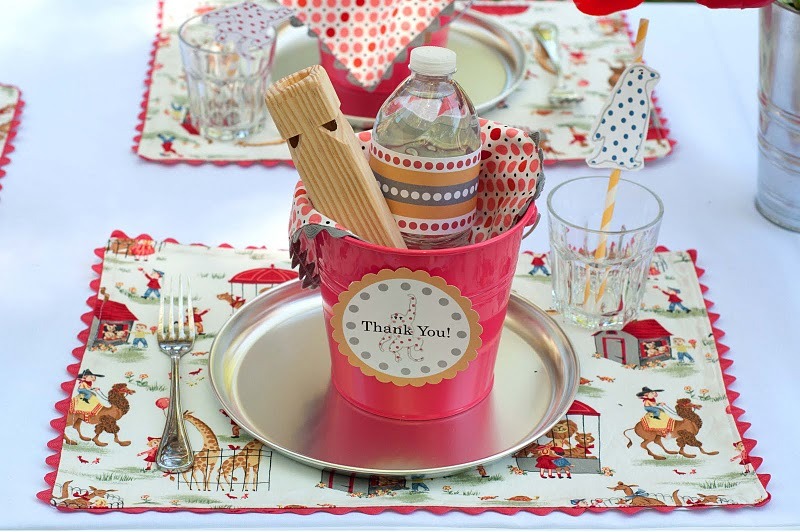 The polka dots really add a great sense of whimsy to this party, which is perfect for any children’s event. If you like this party idea, but don’t want to take your party group to the zoo, you could always bring entertainment to your own backyard. Hiring a balloon twister to create balloon animals for the kids or perhaps a face painter to transform the tiny guests into their favorite animals are both entertainment options that would fit nicely into this theme. The next birthday party offers a new spin on the classic camping theme. When I think of camping, I generally think of it as a boys’ party theme idea; but that certainly changed when I came across this fantastic Girly Camping Themed Party featured on Kara’s Party Ideas. 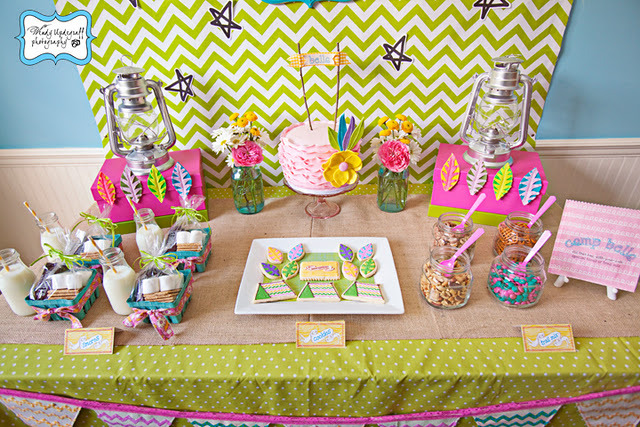 This brightly colored party features fun patterns, colorful leaves and vibrant flowers. At this party the girls enjoyed some time outdoors blowing bubbles. Remember, you can always crank up the bubble induced fun by hiring a bubble truck to really get the party started. All of the arts and crafts projects featured in this party are simple and fun, which make them great for this low-key party theme. The snacks offered are all tied into the camp-out theme. The leaf and tee-pee cookies are really cute, as are the packaged s’mores kits and glass jars of milk. 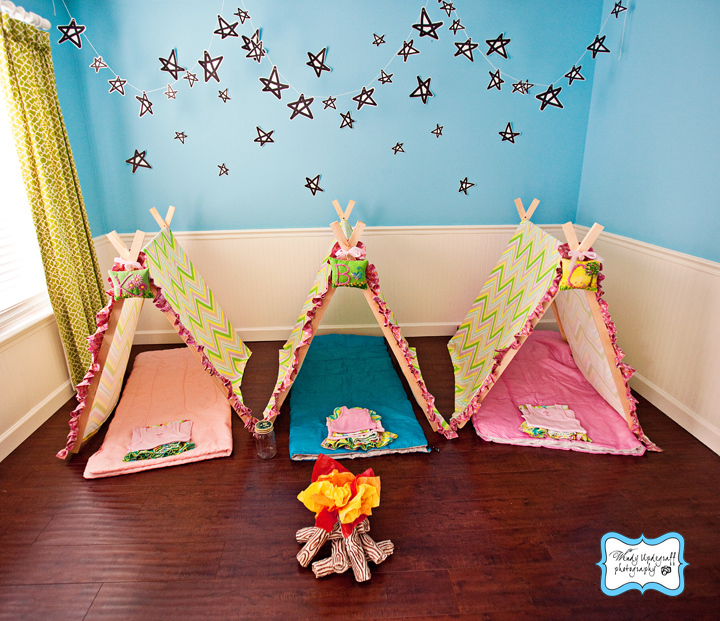 The tee-pee and sleeping bag setup shown above really gives this (sleeping) indoor camping party an authentic feel. Adult birthdays are important too and should be celebrated accordingly. 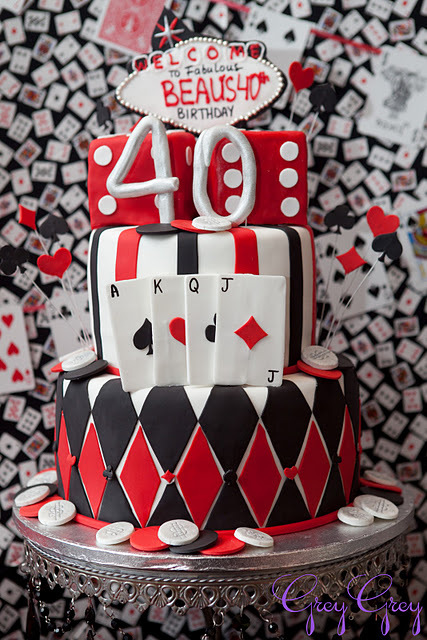 There are a few adult party themes that are always a winner, like this Casino 40th Birthday Party from Grey Grey Designs. Food, drinks and gambling are pretty much a recipe for success in any party situation, but all of the detail included in this party really is exceptional. 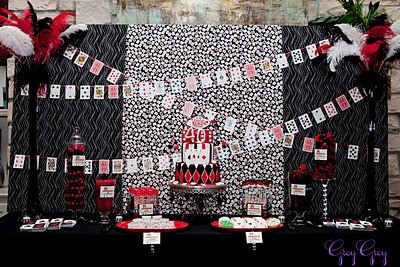 Party décor consists of cards, feathers and poker chips in red, white and black, creating the “Las Vegas” casino feel. Desserts include poker chip and playing card cookies, dice pops, and an outstanding cake that can truly be considered a work of art. During the party, guests were invited to play real casino table games and were offered a custom deck of playing cards when the party was over. The only thing this party was missing was a visit from Elvis himself- or at least an Elvis impersonator. What was the best birthday party you ever hosted or attended? Let us know in the comments below.